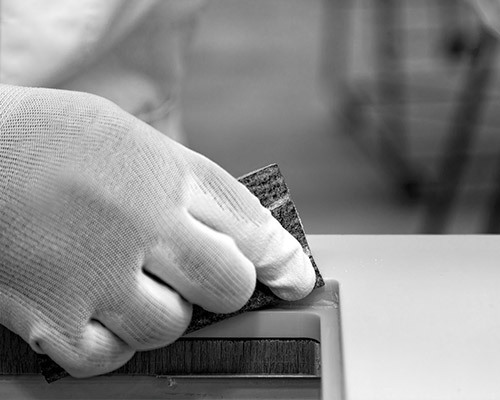 Established in 1993, Modula srl deals with the processing of DuPont™ Corian® joining immediately the pool of certified firms of Corian® Quality Network. From its foundation, the company has been working in furnishing industry especially in the kitchen and bathroom sectors. Afterwards Modula Srl enters the nautical market, with particular attention to the productions of yacht and maxi-yacht in Italy. In 2008 Modula Srl became part of DesignElementi Group, composed by DesignElementi Srl placed in Milan, exclusive distributor of Gaggenau and Neff built-in household appliance in Piemonte, Lombardia, Valle d'Aosta, Liguria, and by DesignElementi Marche Srl, exclusive distributor of Gaggenau and Neff built-in household appliance in Romagna, Marche, Umbria, Abruzzo and Molise, and distributor of Gaggenau, Neff, Bosch and Siemens built-in household appliance for the shipbuilding industry towards Italy with the brand Idea Marine. 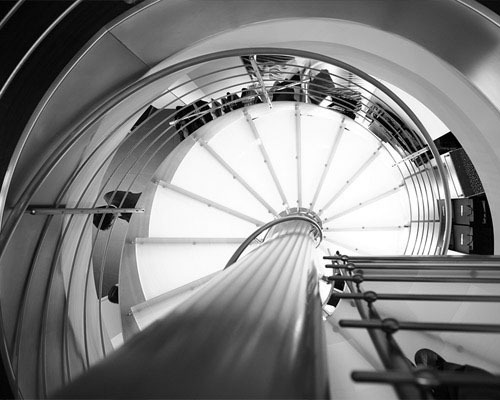 The year 2010 marks a fundamental step forward in the corporate organization, from a typical small enterprise to a competitive well-structured industrial company, even retaining all the characteristics of customized production. The investments made are turned on a different structuring of working capacity internally and on a new, modern, futuristic headquarters externally, using Corian® as a distinctive cladding. Architects Mario Montalboddi and Michele De Angelis have designed the new headquarter in Corridonia, which includes both the offices building and the cutting-edge showroom, with an innovative sunshade in DuPont™ Corian® techno-surface. 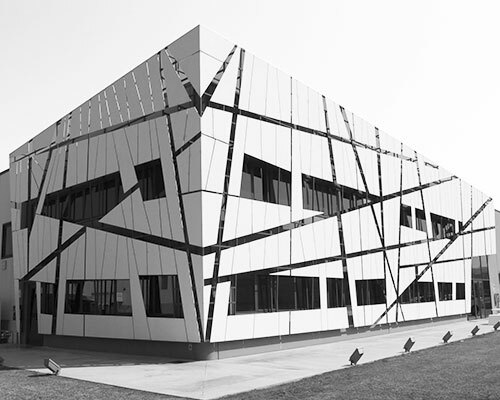 The cladding, realized by the same Modula srl, is the typical case of excellence "Made in Italy" that is marked by design orientation, technological innovation and operational flexibility. 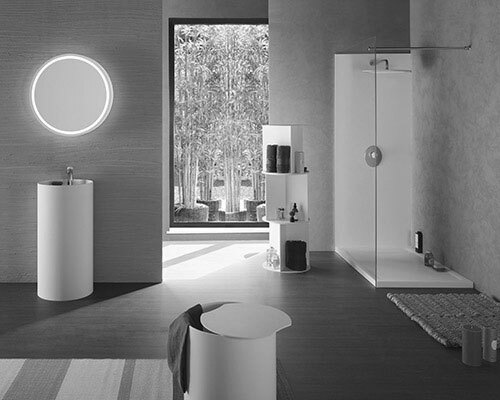 On July of 2014 Modula srl launches the new brand NAOS Wellness Design, which includes a new interpretation of the contemporary bathroom in DuPont ™ Corian®. The brand takes inspiration from "Naos", the Greek temple room keeping the statue of goddess. From this mystical image of strength, elegance and immortality the architect Francesco Lucchese has designed all NAOS Welness Design product lines. NAOS Wellness Design relies on the versatility of Corian® that makes possible smooth and soft shapes tuned with body movements, mixing up two functions: to maximize space and to discover the new possibilities of use. 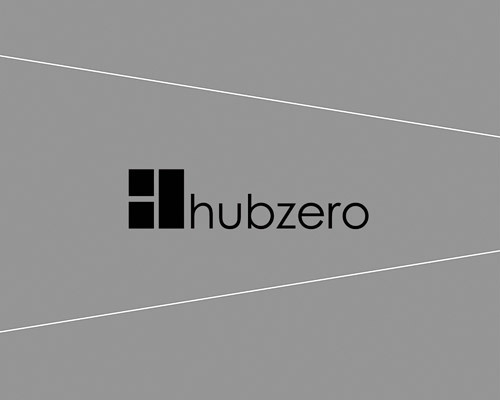 Modula launches Hubzero on the market as a brand that identifies, selects and makes feasible ideas and innovative proposals realized then by excellent Italian companies, characterized by high expertise in key areas of subcontracting in the furnishing sector. Hubzero meets market demand of creating custom-tailored products with sophisticated details, without forgetting functionality and innovation. Hubzero captures and summarizes together in an elegant mix, the icons of existing collections with new stylistic trends. The first exclusive Hubzero products are aluminum and DuPont™ Corian® tables, hoods and 100% stainless steel mixers, all tailor-made.